The Asian dollar bond market has seen a rapid rise in issuance by Chinese real estate developers since the beginning of the year, due to the broad stock market recovery from late 2018 and investor expectations for interest rates being held steady that have boosted risk appetite. Last week, China Evergrande Group and Sunac China Holdings completed US$2 billion and US$750 million in senior notes issuance, respectively. Evergrande subsequently reopened its issue with another US$1 billion spread across all 3-tranches of the original transaction. Other developers including Country Garden, Future Land, Kaisa Group and Zhenro Properties have also issued bonds in the past 3 weeks. This latest is the 4th issuance of dollar bonds for both developers in the last 6 months, for a total of US$7.8 billion in bonds sold by Evergrande and $2.5 billion by Sunac. Sunac, the 4th largest developer in China, issued B1/B+ rated (Moody’s/S&P) bonds yielding 7.95% that will come due in October 2023. Evergrande, which issued 3-year, 4-year and 5-year B2/B rated (Moody’s/S&P) high-yield bonds at yields of 9.5%, 10% and 10.5%, respectively, will use the proceeds to refinance existing debt and for capital expenditures. Before this latest issuance, the Group had debt maturing in 12 months or less that exceeded its cash position by 114 billion yuan or US$17 billion. In terms of bonds, Evergrande has around $13.3 billion falling due by the end of 2020. 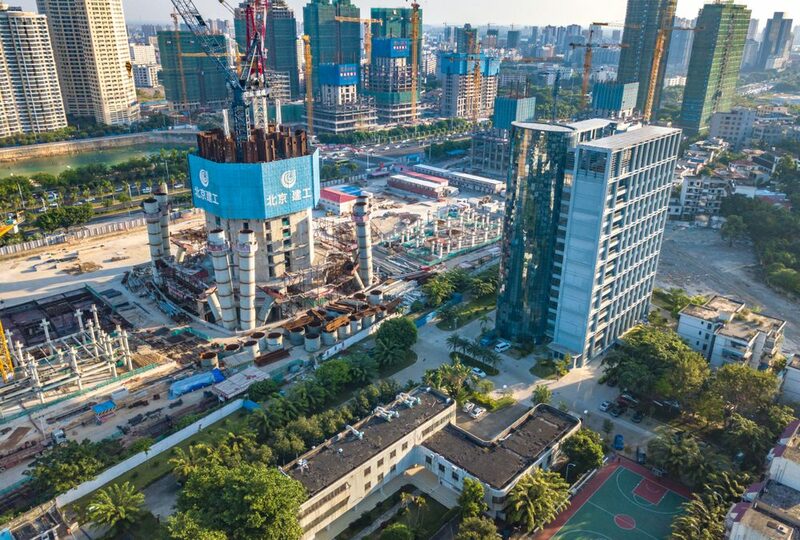 Although the real estate company expressed that most of its short-term debt maturities are bank loans that can be extended, that in addition it has 180 billion yuan of undrawn credit lines and that it expects to generate significant cash proceeds from a projected 500 billion yuan in project sales over 2019, investors are well aware of the funding pressure Evergrande is under.